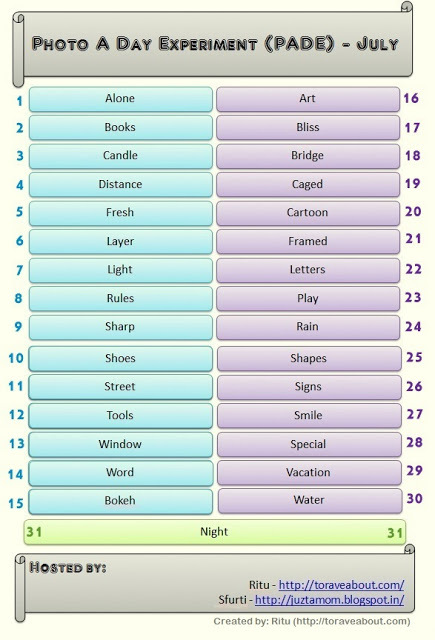 Theme for the Day 2 is Books. I have not shot much on this theme, honestly just a very few. So, it was a task for me to take a new photograph for the purpose. Easiest way out was to shoot my collection of Books with an objective, but then it was too simple to do. I took that pic, however, and learnt correcting Lens Distortion (thanks Kenrock). But, it wasn't satisfying me - it was easy to take, though editing (Photoshop and Picasa) added flavour to it, still. 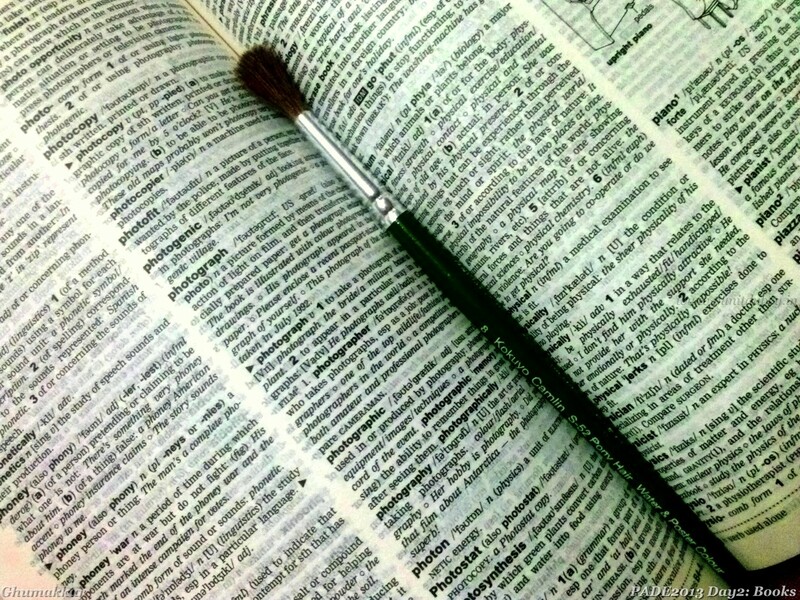 I shot this pic of Old Oxford Dictionary aptly matched with a Brush that I recently bought to clean the mirror of camera, with my LG Optimus mobile-camera, and done a little auto-correction thing. It wouldn't be justified if I don't post the first pic I shot. It was done D5000 18-55kit lens, no-flash, corrected for lens-distortion (cant say how good it's been corrected) and then basic editing. 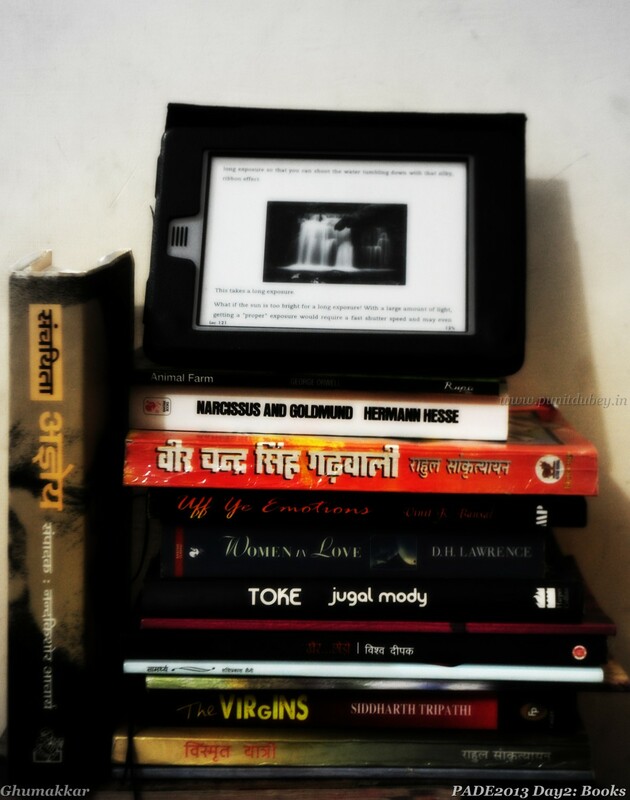 Idea was to compose the picture with the real books and eBook. Though, I too now prefer reading on Kindle, collecting (and reading too) real paperbacks is a charm! Wow love both the photographs..First one has class and second has charm!!! Awesome!! Awesome work, you make my entry nervous and run away. I have not edited my pics apart from cropping but I know how much life a little bit of correction/effects can bring. I have so much to learn from you!